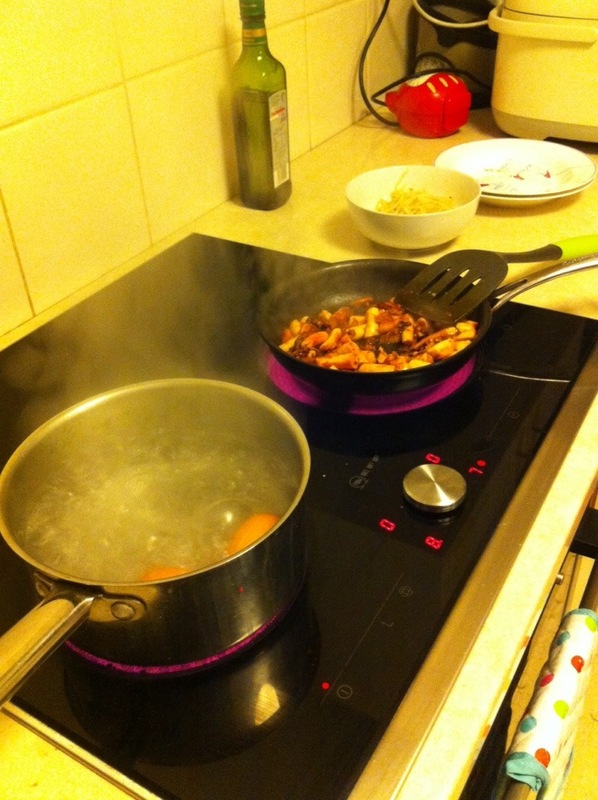 I’ve been wanting to make this meal for ages. And I finally managed to. 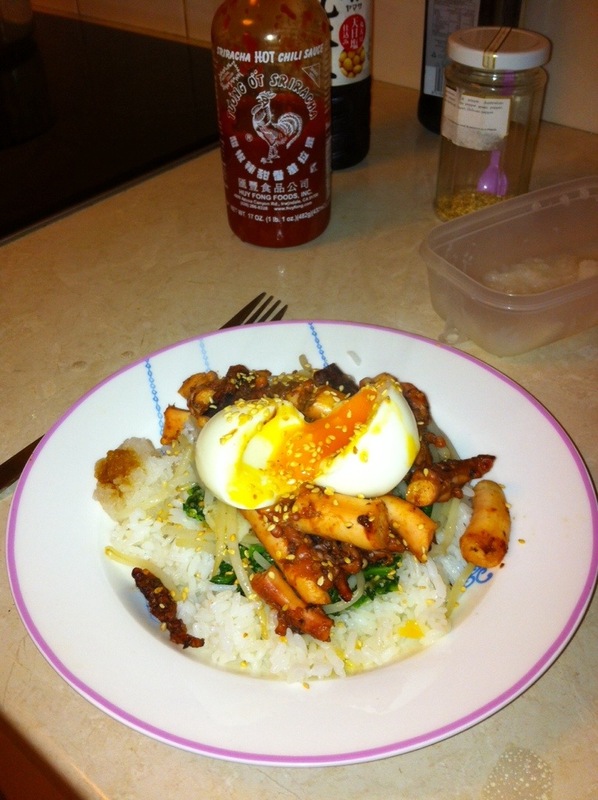 Octopus, spinach, bean sprouts, and egg on rice. 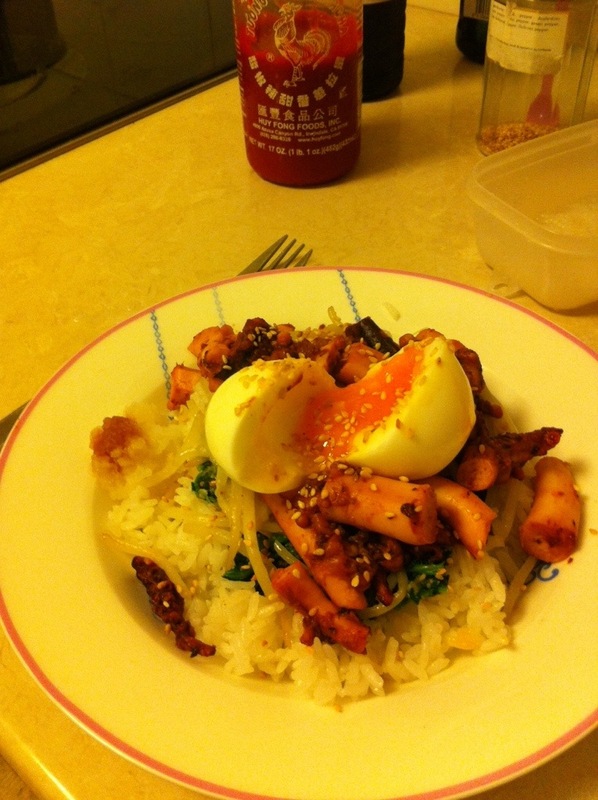 The octopus was boiled, then marinated in Sriracha, soy sauce & mirin. The spinach was blanched, then mixed into sesame seeds, salt, sesame oil. Very delicious.